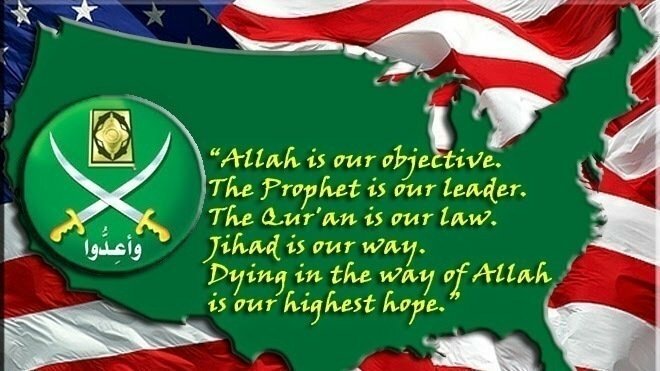 Decision: Under Section 219 of the Immigration and Naturalization Act, the United States should immediately designate the Muslim Brotherhood and its components as foreign terrorist organizations. Reason: The Muslim Brotherhood (MB) is an international Islamist organization and network founded in 1928 in Egypt, and an ideological precursor of modern jihadist terrorist groups. The MB’s strategic goal of creating a global Caliphate, which requires the overthrow of the US Constitution, is identical to that of ISIS and al Qaeda. The MB tactically shifts between approving and not approving violent extremism, depending on place and circumstance. Background: Historically, the MB has established and maintained the ability to wage terroristic violence, from its “Special Apparatus” terrorist cells in the 1930s to the present. Beginning in the 1980s, the MB established an Islamist Palestinian terrorist group, resulting in the formation of Hamas in 1987. President Clinton designated Hamas as a terrorist organization in 1995 under Executive Order 12947, which formed the basis for creation of the State Department’s Foreign Terrorist Organization (FTO) list. Following the ouster of the MB-led regime in Egypt, the MB again displayed its will to engage in violence, including the formation of two armed groups. The US has designated both as terrorist organizations. Earlier this year, the MB called for an “uprising” against the US in response to the relocation of the American Embassy in Israel to Jerusalem, threatening US interests worldwide. Governing Laws and Regulations:The authority to designate an organization as an FTO resides with the Secretary of State, under 8 US Code § 1189(a), and requires satisfaction on three points: the organization is foreign; engages in terrorism activity as defined by section 1182(a)(3)(B) of Title8 or terrorism as defined by section 2656f(d)(2) of title 22OR retains the capability and intent to engage in terrorist activity or terrorism; andthat the terrorist activity threatens “the national defense, foreign relations, or economic interests of the United States;” or threatens US nationals. Section 1182(a)(3)(B)defines “engage in terrorist activity” to include: inciting, preparing, planning or gathering intelligence on targets of, or material support for, terrorist activities. Both section 1182(a)(3)(B) of Title8and section 2656f(d)(2) of title 22define “terrorist groups” to include organizations with a sub-group that engages in terrorist activity. The USG successfully demonstrated during US v Holy Land Foundation for Relief and Developmentthat MB members and organizations engaged in terrorist activity so defined – specifically providing material support for terrorism. The USG has already designated multiple MB sub-groups as FTO or Specially Designated Global Terrorists (SDGTs), as noted above. Finally, multiple MB leaders or groups have directly incited terrorist violence against US persons and US interests inside and outside American territory. Rebuttal of Policy Objections: The Bush-Obama Global War on Terror/CVE approach was to treat the MB as a “moderate” ally against “violent extremists,” while ignoring the Brother’s long history of subversion and terrorism. Professionals will argue that designating the MB will undermine US counterterrorism efforts by alienating the Brotherhood, when in fact the MB has stymied them. Many will argue that MB penetration of/participation in friendly Middle Eastern governments would harm those governments and needlessly compromise relations with them, when in fact the USG maintains relations and cooperative agreements with other nations whose governments contain members of designated terrorist organizations, including Lebanon and Iraq. In addition, multiple regional allies, including Bahrain, Egypt, Saudi Arabia, and the United Arab Emirates, have themselves designated the MB or parts thereof as terrorist. The Bottom Line:The Muslim Brotherhood is not a “moderate” organization or movement, but a terrorist one. The President should instruct the Secretary of State immediately to designate the Muslim Brotherhood, its fronts and controlled organizations, as Foreign Terrorist Organizations and Specially Designated Global Terrorists.